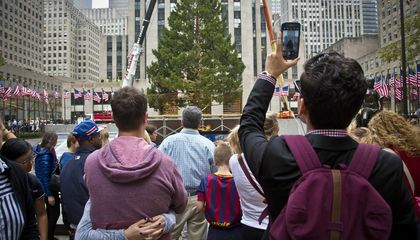 A 78-foot Norway spruce from New York's Hudson Valley has been put up in Rockefeller Center. It is in New York City. The tree will be lit for the Christmas season. The tree weighs 10 tons. That is 20,000 pounds. It was lifted into place Nov. 6. It will be lit on Dec. 2. The tree was cut down from the property of Albert Asendorf and Nancy Puchalski. They live in Gardiner, New York. 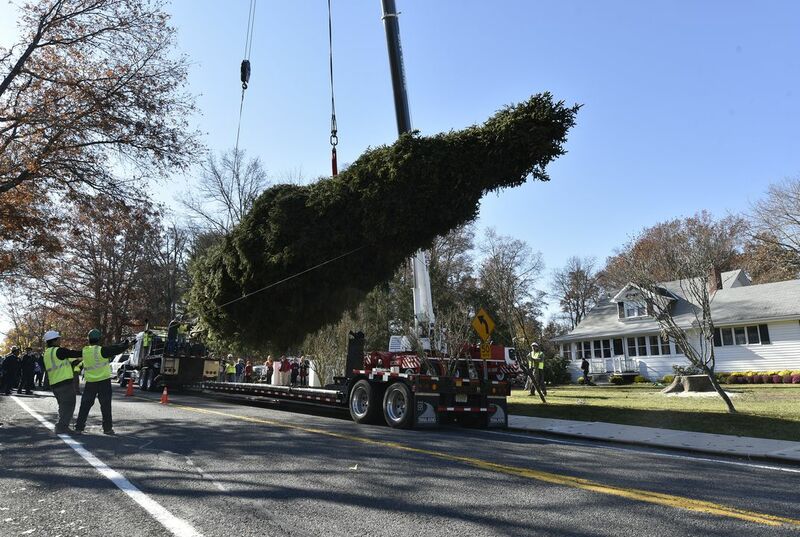 The tree was put on a trailer. Then it was taken on an 80-mile trip. It ended up in midtown Manhattan, at Rockefeller Center. The annual tree-lighting ceremony at Rockefeller Center brings in tens of thousands of viewers. It is watched by millions more on television. After the holidays, the tree will be made into lumber. The lumber will be used by Habitat for Humanity. So they have time to decorate it. They put it early beacuse in winter it will probably a lot harder because there's a lot of snow than in fall. So they have enough time for other things. So they don't have to get it when there is snow out side. That's a big tree and lots of wood.